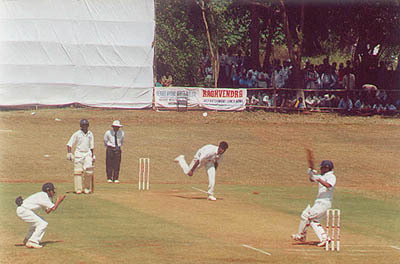 The Union Gymkhana has organized a T20 cricket Belgaum player’s league (BPL) which will begin from 19th December 2009 and will end on 1st January 2010. The Karnataka state Cricket association has affiliated itself with this tournament. There will be in all 8 teams and each team will consist of 20 players; 14 players from Belgaum district & 6 from Karnataka. Franchises will have the option of selecting two players. The bidding forms for the teams are available at the Union gymkhana office from today until 2nd December. The bidding will resume from a floor price of Rs.60,000. Three matches will be played in a day at 7.30am, 10.30 am & 1.30 pm and players will wear colored dress. This could be a golden opportunity for the players from the district as they will get good exposure.